Our guide to Charlotte will help you find the best dog friendly places in Charlotte North Carolina. Though Charlotte dates from Revolutionary War times (it is named for King George III's wife, Queen Charlotte), its Uptown is distinctively New South, with gleaming skyscrapers. Uptown encompasses all of downtown Charlotte, its business and cultural heart and soul. It's also home to the government center and some residential neighborhoods. And public art is keeping pace with the city's growing skyline. Examples of this are the sculptures at the four corners of Trade and Tryon streets. Erected at Independence Square, they symbolize Charlotte's beginnings: a gold miner (commerce), a mill worker (the city's textile heritage), an African-American railroad builder (transportation), and a mother holding her baby aloft (the future). There are tons of great dog friendly places in the city of Charlotte, our city guide will help you find the best dog friendly places. You may have a hard time deciding what to do in Charlotte, but we make your decision easy. 208 S Sycamore St - Frazier Dog Park is an off leash dog park within Frazier Park in Charlotte North Carolina. 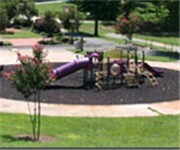 5715 Monroe Rd, (704) 568-4044 - East Park is a dog friendly off-leash dog park located in Charlotte NC. 8711 Monroe Rd, (704) 568-4044 - Ray's Fetching Meadow is located at McAlpine Creek Community Park, 8711 Monroe Road. This park is a one-acre, fenced-in, off-leash area for dogs. 4240 S Blvd, (704) 523-3380 - Dogs All Day is a dog friendly pet daycare located in Charlotte NC. 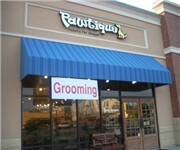 Ballantyne Commons Pkwy, (980) 202-2404 - Suburban Hound is a dog friendly pet daycare located in Charlotte NC. There are plenty more dog friendly places in Charlotte. See all dog friendly places in Charlotte North Carolina.